**Actual Results, Typical of ALL Testing Performed. ** Two Testing Facilities were used. ATS has 23 Locations in the United States. 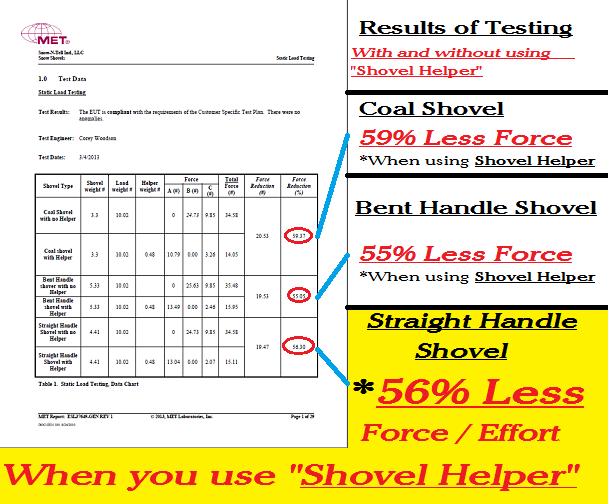 Tests were performed with and without the "Shovel Helper" attached.